Henley Natural brings back the popular hippie scent from the 1960s and 1970s. It’s the scent of patchouli with groovy color patterns in natural soap. Henley Natural revives a popular hippie scent with new, groovy patchouli soap, lime patchouli soap and orange patchouli soap. Patchouli has a strong, earthy, smoky, and musky scent that was enjoyed by the counter-cultural hippies of the 1960s and 1970s. The rise in popularity of the patchouli scent today has people still frequently asking for this scent in natural soap. This new Henley Natural patchouli soap is artistically created with with multiple natural colorants creating a classic 1960s groovy look. The natural colorants are made variously with mineral oxides, micas, activated charcoal, and ultramarines. 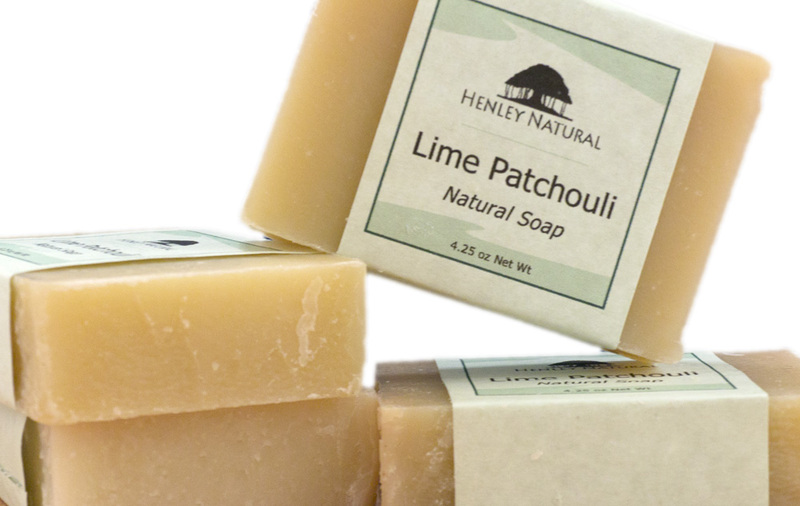 Henley Natural Lime Patchouli Soap has a wonderful blend of lime, clove and patchouli essential oils. Orange Patchouli Soap is made with sweet orange, cedarwood and patchouli essential oils. Henley Natural Patchouli Soap dries and cures for up to six weeks, which creates a terrific, solid bar of soap. Patchouli soap contains olive oil for moisturizing, coconut oil for a thick and fluffy lather, and palm oil as an emollient. Each bar weighs approximately 4 - 4.25 oz. 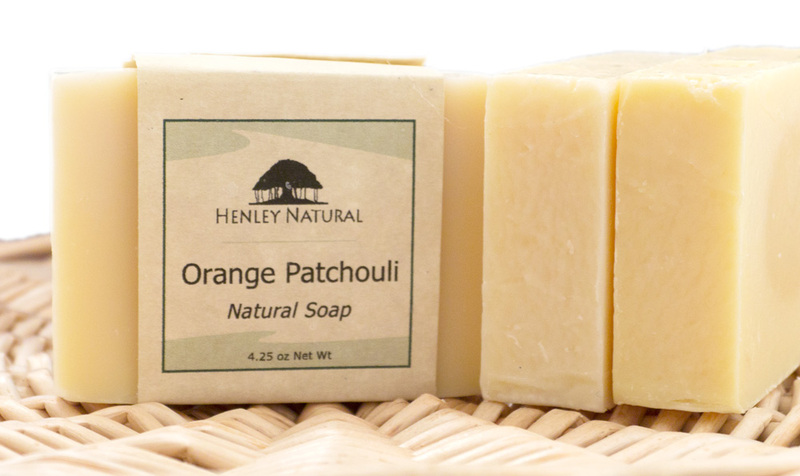 Enjoy the earthy, musky scent of patchouli in Patchouli Soaps from Henley Natural. Located in the Tampa Bay area of Florida, Henley Natural was founded in 2006 as a maker of natural bath and body products. Products such as natural soap, shea butter cream and shea butter body butter are made in small batches to guarantee freshness. Quality ingredients such as olive oil and shea butter add a rich, silky texture to the products and help moisturize the skin. Products are scented with essential oils and many incorporate selected botanicals and herbs. Large wholesale sizes are available for day spas and salons as back bar supplies. Visit the Henley Natural online store at http://www.henleynatural.com for product pictures and more information. For the latest natural soap happenings, craft show event dates, and more, click the Facebook Like button on the Henley Natural Fan Page. 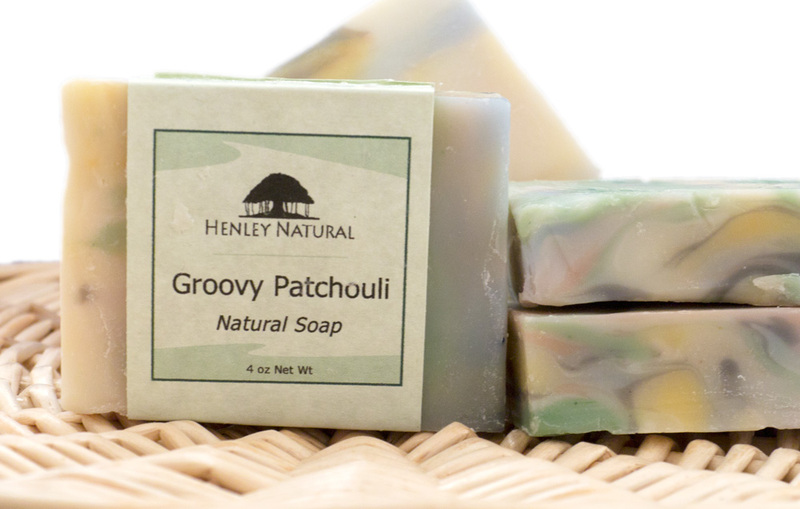 Groovy Patchouli SoapGroovy Patchouli soap brings back the popular hippie scent of the 1960s and 1970s. 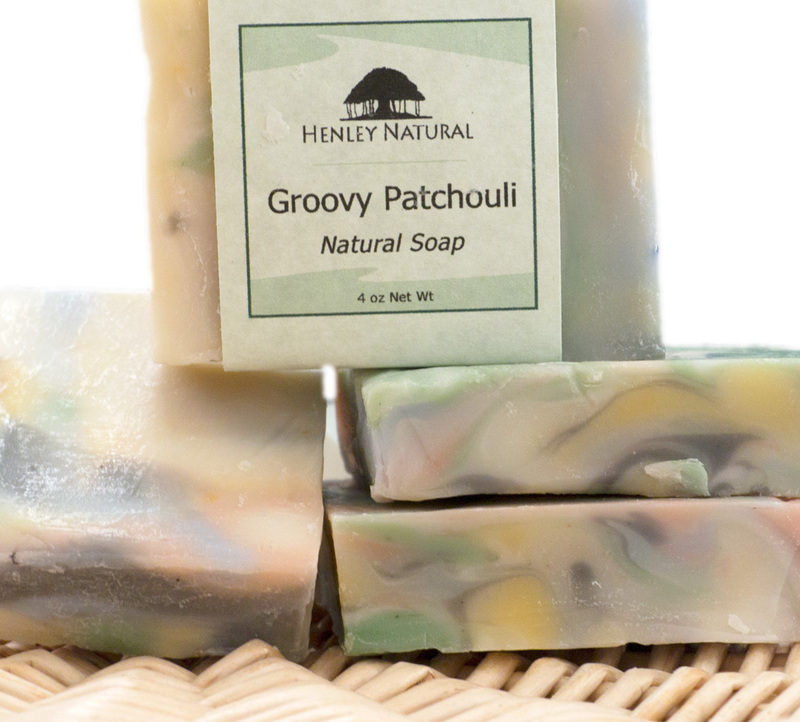 Groovy Patchouli SoapMultiple natural colorants give Groovy Patchouli soap its classic 1960s look. Lime Patchouli SoapLime Patchouli soap has a wonderful blend of lime, clove and patchouli essential oils. Orange Patchouli SoapOrange Patchouli soap is made with sweet orange, cedarwood and patchouli essential oils.